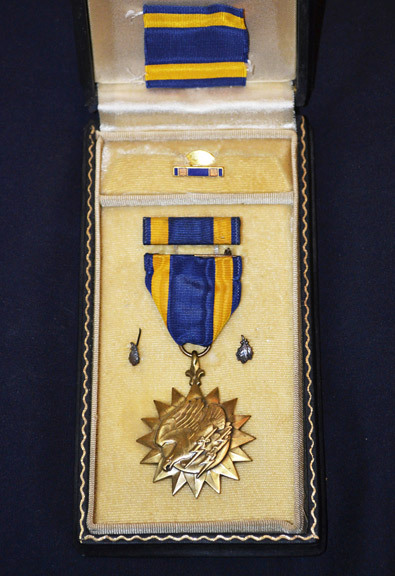 For exceptionally meritorious achievement while participating in sustained bomber combat operations over enemy occupied Continental Europe. 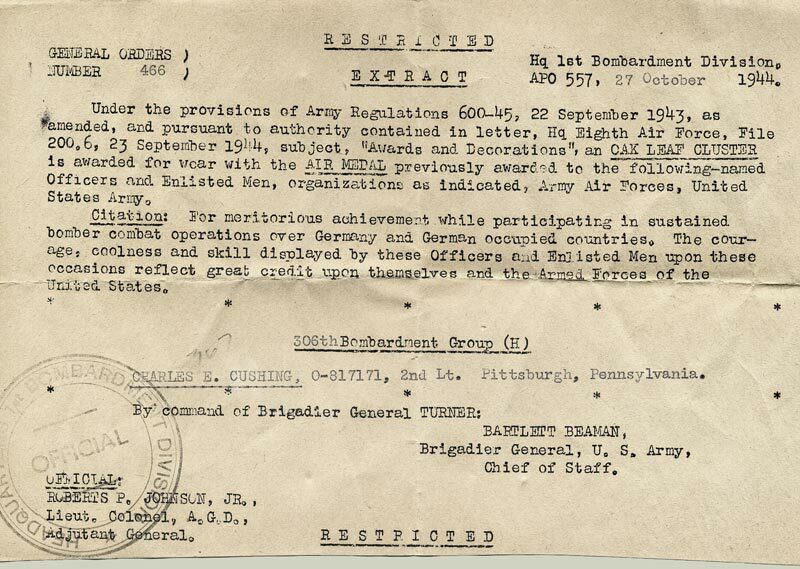 The courage, coolness and skill displayed by these Officers and Enlisted Men in these occasions reflect great credit upon themselves and the Armed Forces of the United States. 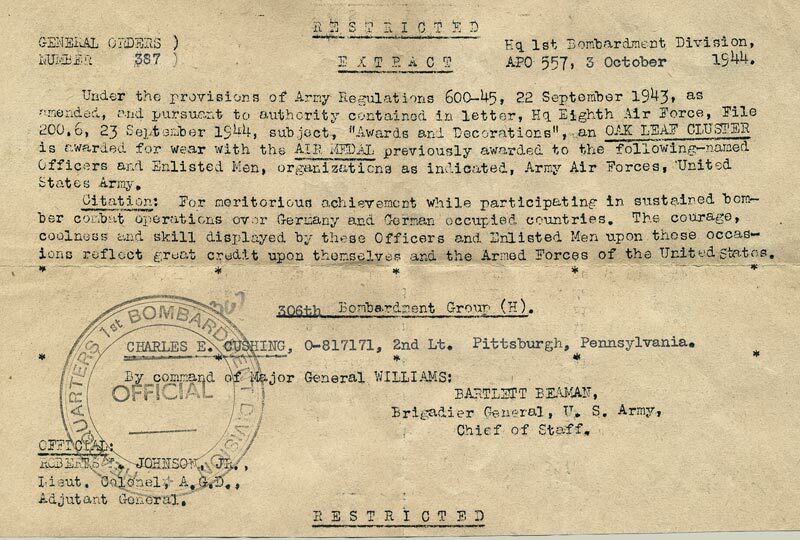 July 30, 1944, 1st Bombardment Division, 306th Bombardment Group, by command of Major General Williams: Bartlett Beaman, Brigadier General, U.S. Army, Chief of Staff. 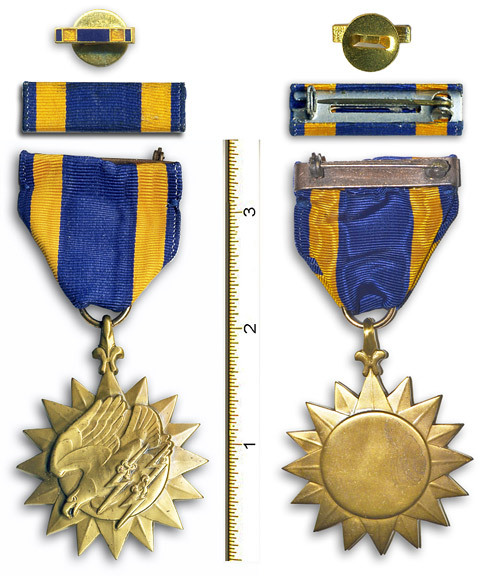 Air medal with two oak leaf cluster awards, and matching bar and pin. 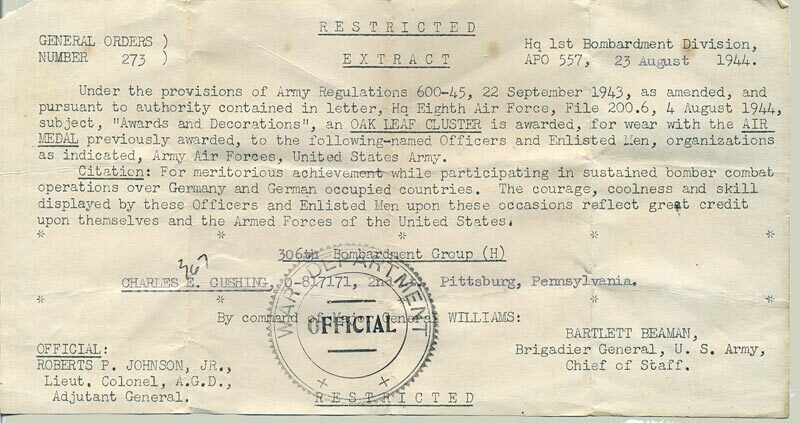 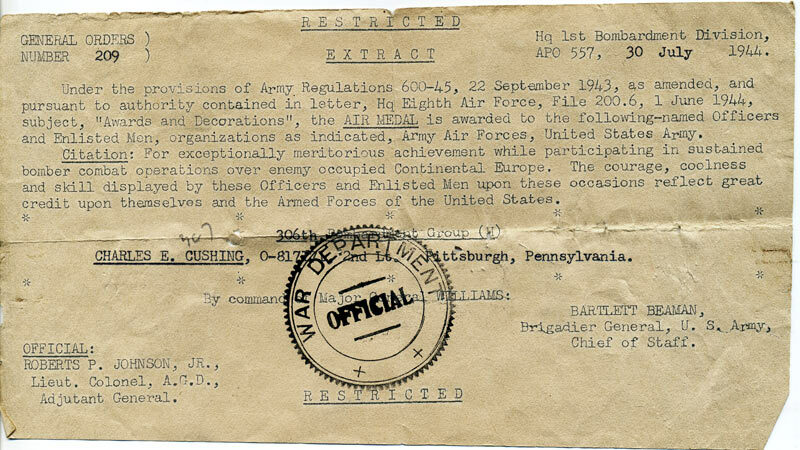 Lt. Cushing was awarded Oak Leaf Clusters over the next several months, to be worn with his air medal. 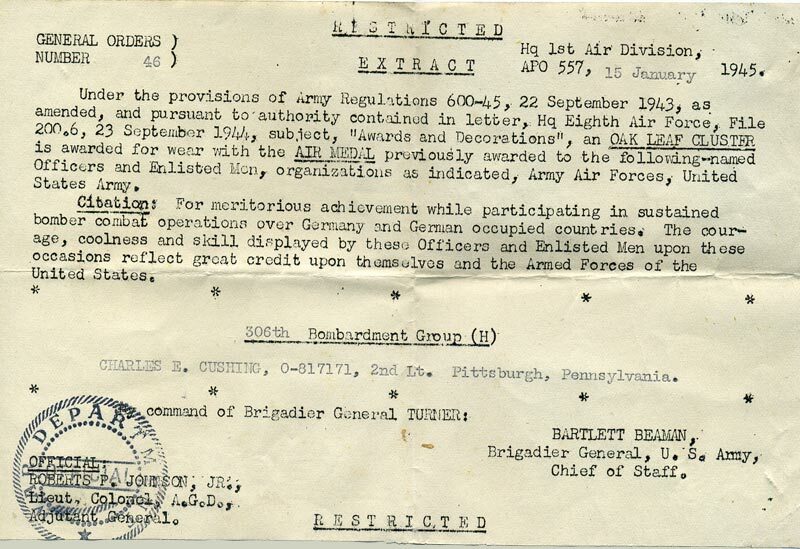 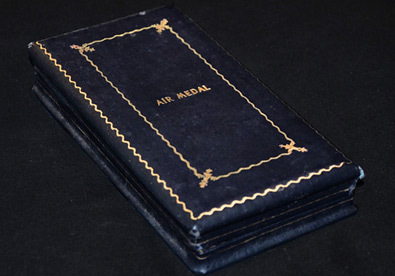 "For exceptionally meritorious achievement while participating in sustained bomber combat operations over Germany and German occupied countries. 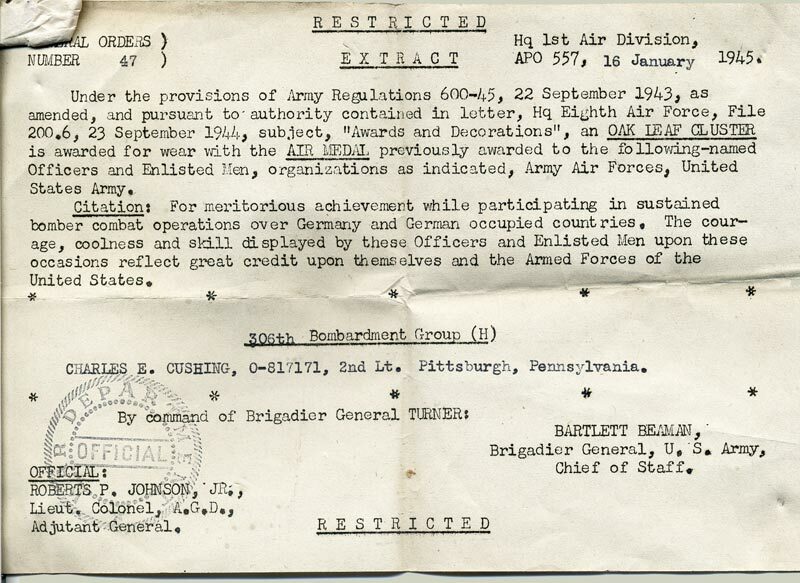 The courage, coolness and skill displayed by these Officers and Enlisted Men in these occasions reflect great credit upon themselves and the Armed Forces of the United States."